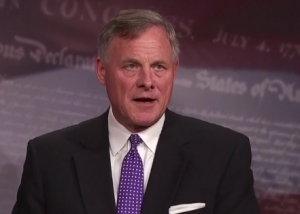 Sen. Richard Burr refused to return his “blue slip” for two African-American Obama nominees over an eight year period. Now he supports the nomination of controversial conservative Thomas Farr. 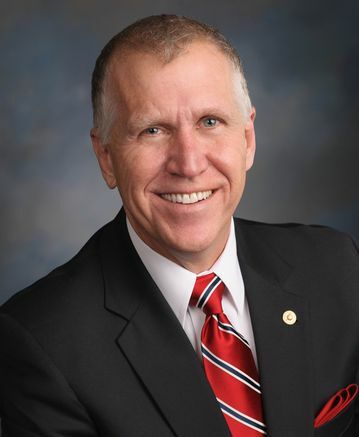 Sen. Thom Tillis serves on the Judiciary Committee and could block Brennan and other objectionable nominees. Advocates from 18 states, including North Carolina, descended on the Des Moines offices of Sen. Charles Grassley (R-IA) yesterday to urge him not to destroy a 100-year-old Senate tradition that would prevent Senate Republicans from rubber-stamping President Donald Trump’s judicial nominees without the approval of home-state senators. The Senate is preparing to confirm federal appeals court nominee Michael Brennan to the 7th Circuit Court of Appeals, despite the objection of one of his home-state senators, Sen. Tammy Baldwin (D-WI). The blue slip rule has long required that both home state senators consent to a judicial nominee in order to move the nomination forward. This bipartisan rule has always been honored by Democratic Senate leaders, most recently during the Obama administration. In fact, a previous nominee for this seat nominated by President Barack Obama was never confirmed because her Republican home-state senator objected. Here in North Carolina, Senator Richard Burr refused to return his blue slip throughout the entire Obama presidency on two different nominees nominated to serve on the federal district court for the state’s Eastern District. Either nominees would have been the first Black judge to serve on the court in its history. Now, however, Republican leadership wants to dismantle this time-honored rule by forcing Brennan’s nomination process to move ahead over Baldwin’s objections.